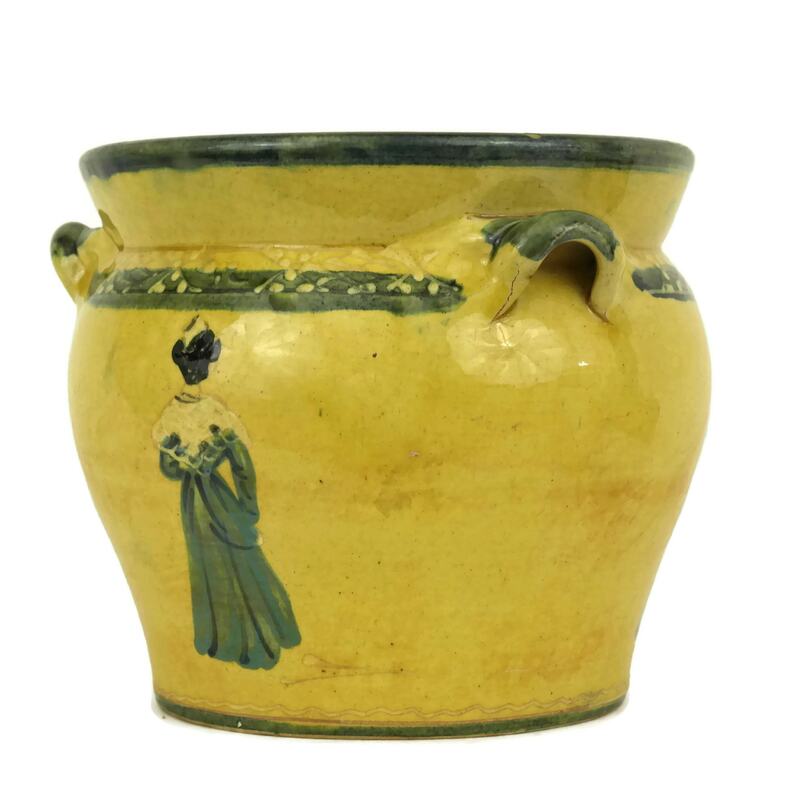 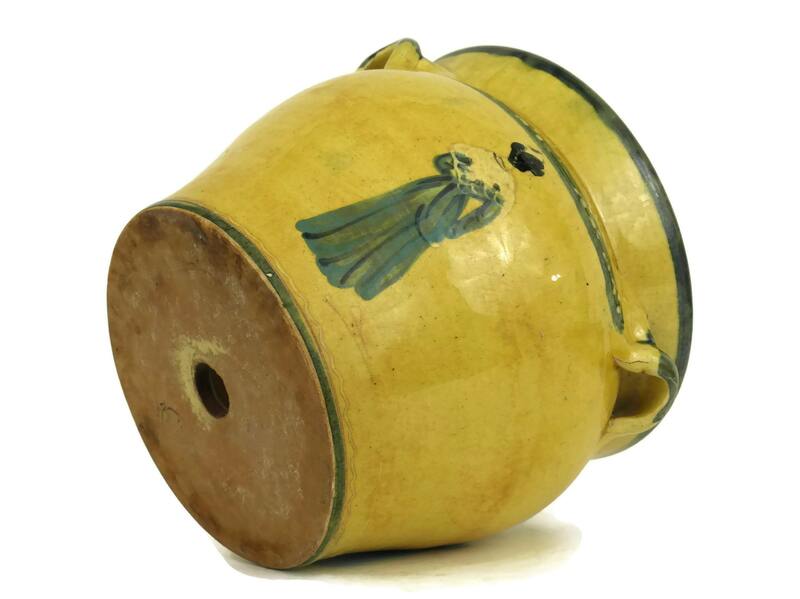 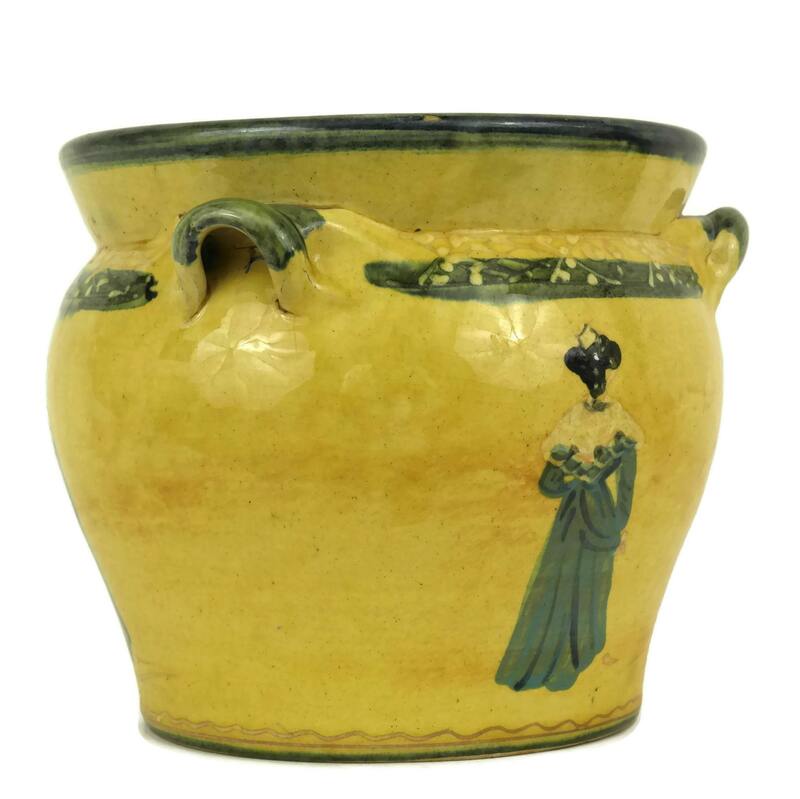 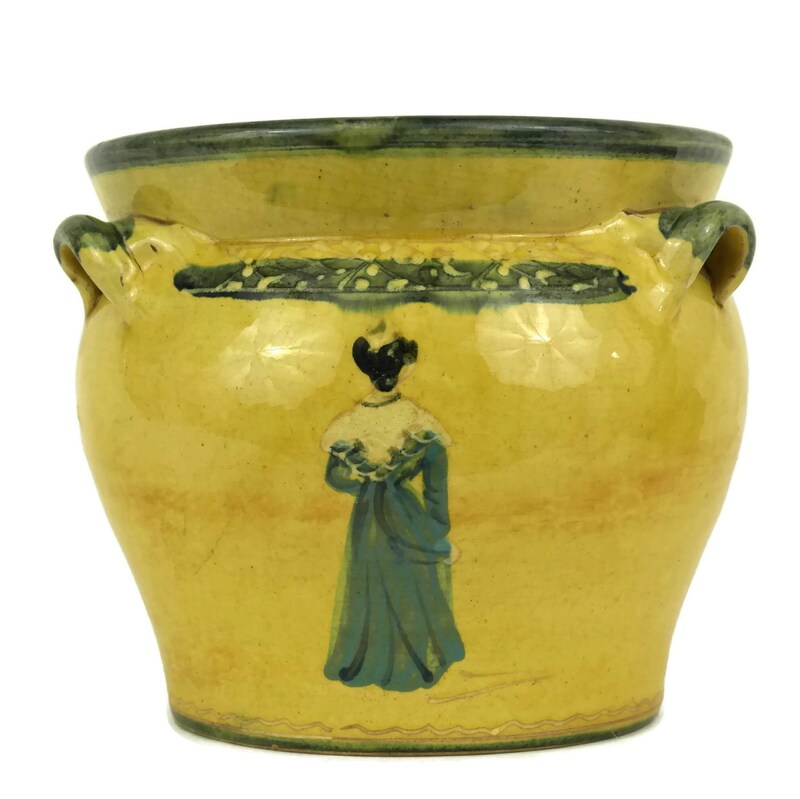 A charming vintage French Provence pottery planter decorated with a traditional Arlésienne lady on two sides. 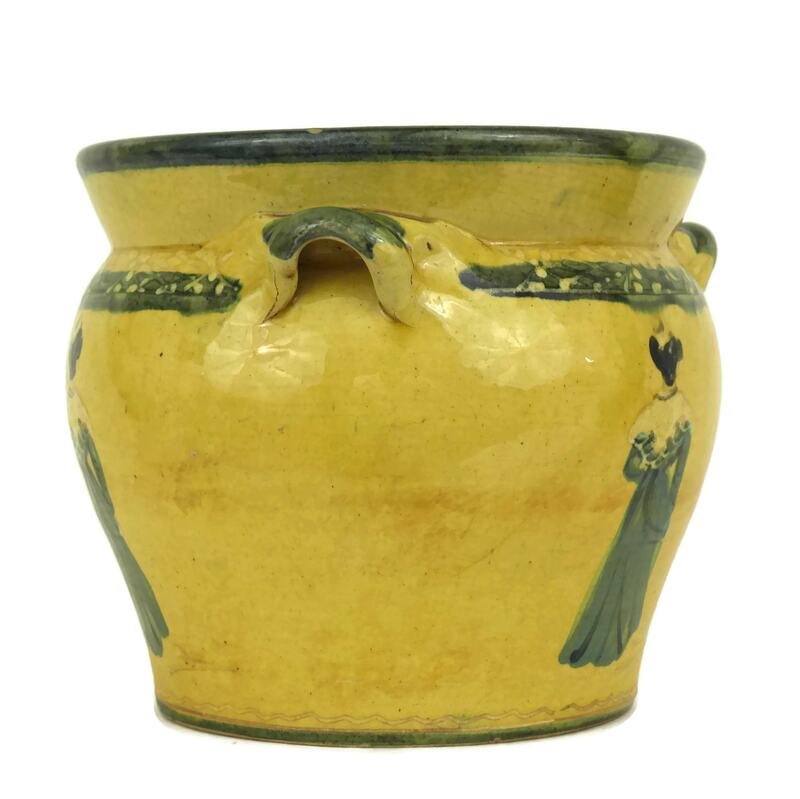 The rustic Provencal pot plant holder has been glazed in shades of yellow and green and features a classic form with 3 small handles. 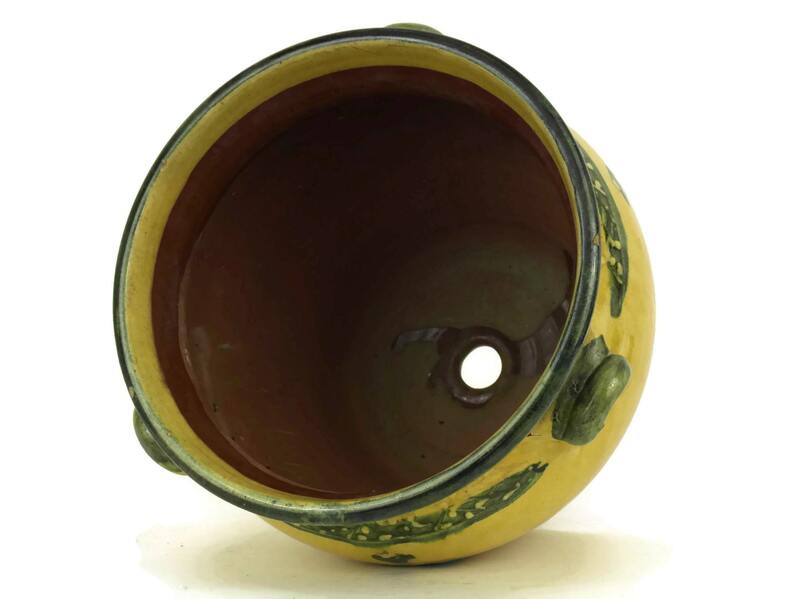 The underside has been stamped with the French manufacturer's mark. 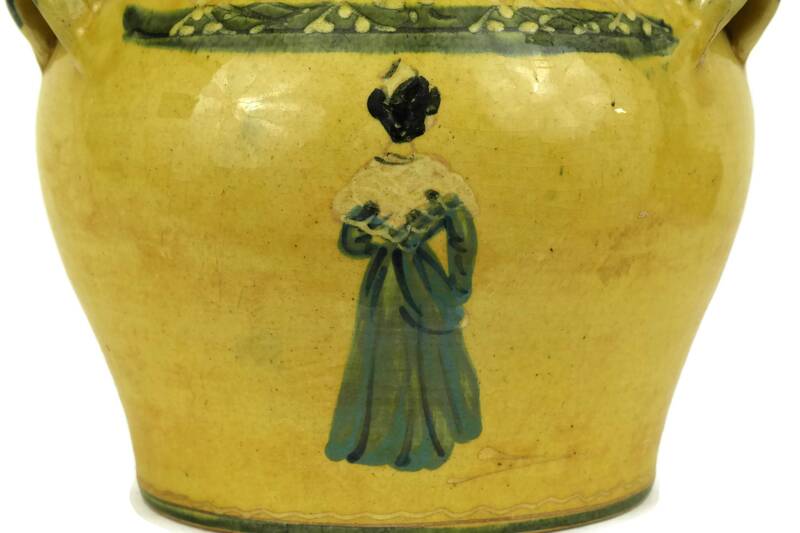 6 1/2" Tall x 8" Wide. 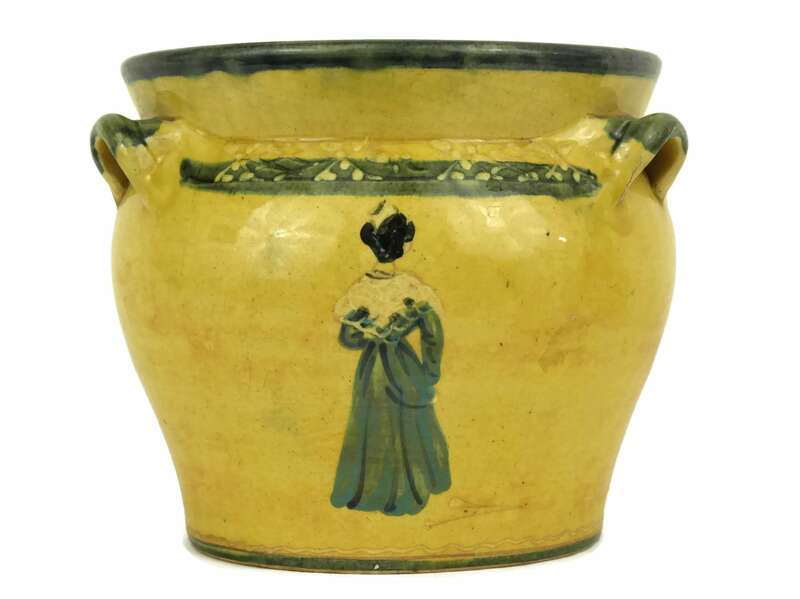 (16,5 cm x 20 cm). 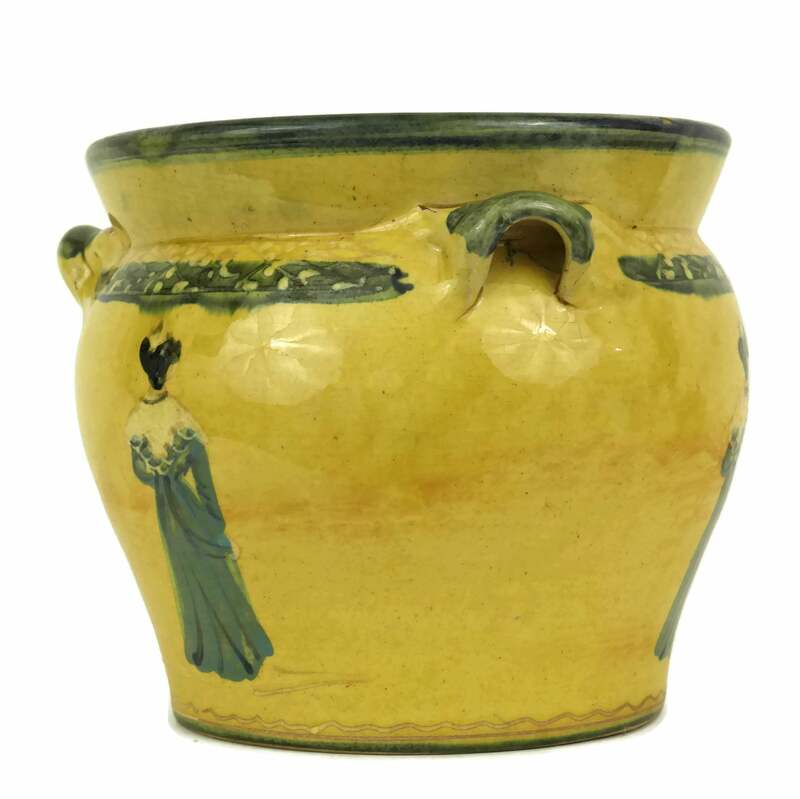 The French Provencal planter is in very good condition with some signs of age and wear. 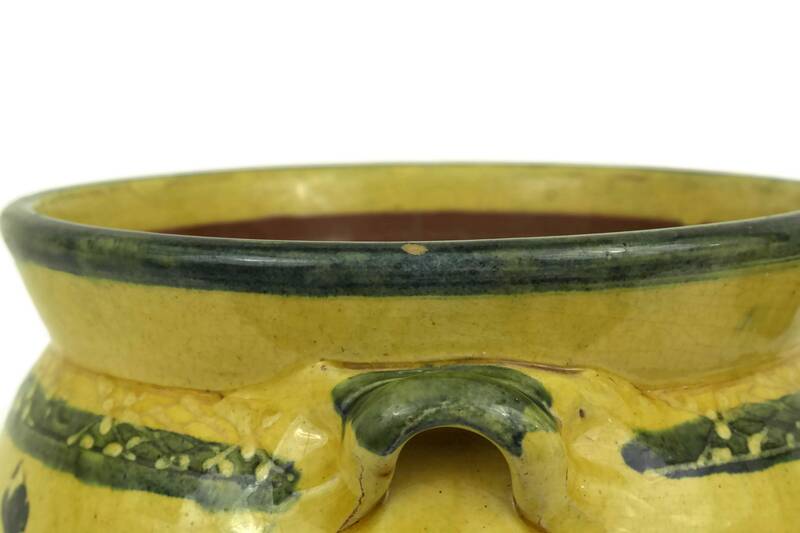 There are small flakes to the glaze around the rim.